These giant creepy spiders are the perfect way to spook your trick or treaters this Halloween. 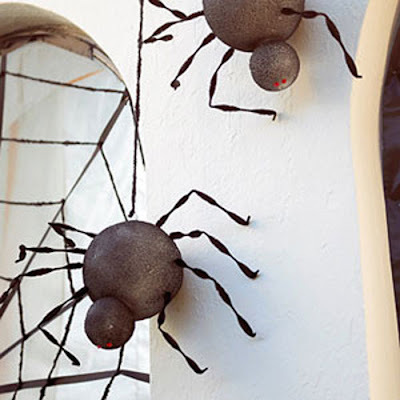 Ad a giant web and a couple of these foam spiders to your front porch and you will be ready for October 31! Or something you probably already have on hand, black trash bag spider webs. 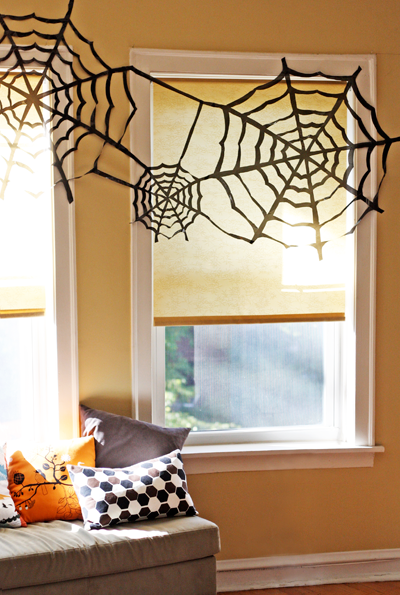 Check out how to make simple Halloween spider decorations over at BHG.